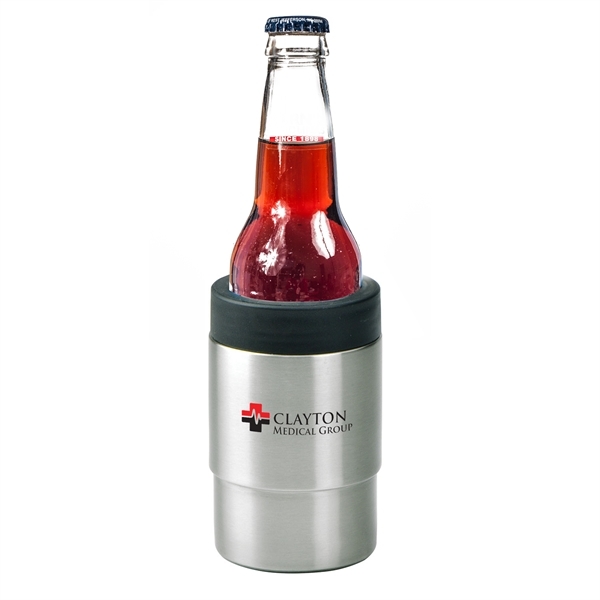 Imprint Method: 1 Color 1 Location - Double wall stainless steel drink can insulator meets FDA requirements and keeps your drink colder longer. This item includes a rim that twists on and holds your drink in place. Size: 5 " x 3 " x 3 "
Imprint Size:3" x 2", 1.5" x 2"